A jealous girlfriend has reportedly bath her boyfriend with a bowl of hot water over suspicion that he was cheating on her. 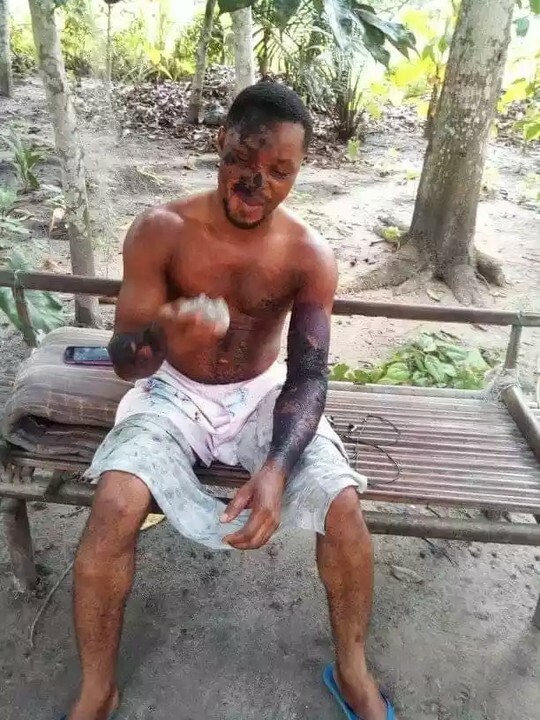 It was gathered that the incident happened last week at Upatabo community in Ahoada West Local Government Area of Rivers State. 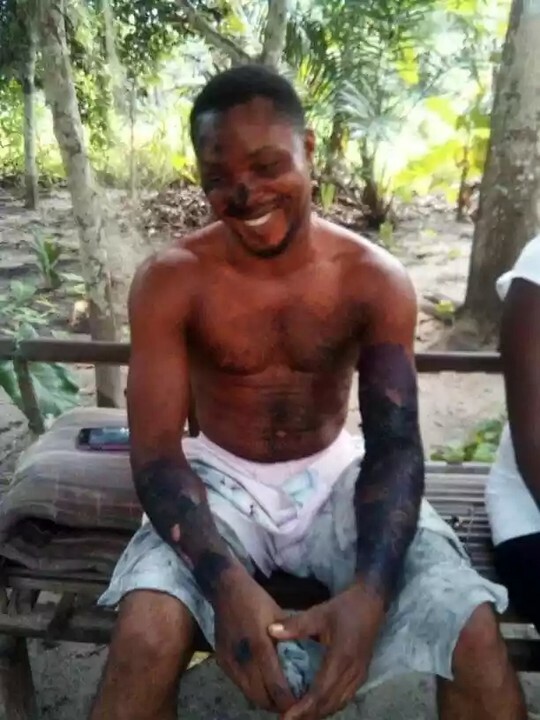 According to a social media user one Onyeka Simeon who shared the story on Facebook, the lady, identified as Uluma became jealous after suspecting that her beau one Atago Endurance was having an affair with another lady. She was said to have poured hot water on Endurance as a result of her suspicion.